Horse calmers are designed to help minimise stress-related conditions, release muscle tension and aid concentration and performance. A stress-free horse will be much more likely to perform under pressure, and whether you and your horse are competing professionally or it is demonstrating challenging behaviour, our supplements will provide the safe and effective solution you have been looking for. 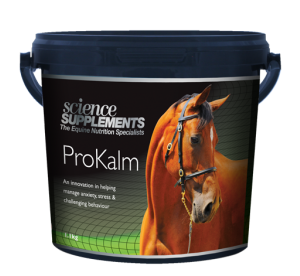 ProKalm has recently been rated the UK's Number 1 in a survey of over 1500 participants* and is an innovation in helping horses and ponies perform to their potential using a unique formulation that acts rapidly in as little as 30 minutes with the effects lasting up to 8 hours. At low intake ProKalm is perfect for “taking the edge off”. 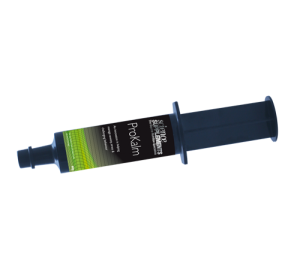 At moderate and high intake, ProKalm is suitable for more demanding situations. All other so called calmers contain either magnesium, tryptophan or ingredients that are prohibited for use in competition. ProKalm is a completely unique formulation and free from magnesium and tryptophan. As a fully accredited UFAS and NOPS manufacturer, we guarantee the quality of our products and our entire range are safe and legal to feed in competition. For detailed information and feeding guide click on the product image below.